Globalisation and digital disruption have led to the rise of the mobile workforce. With many people working from home, there is a growing need for home office spaces. A number of commercial office space design ideas can be incorporated into a home office. Olivia Munchin, Nouwens Carpets’ Director Sales & Marketing, says that while commercial spaces opt for carpet tiles because they have better longevity and are easier to replace when it comes to high foot traffic areas, it’s more common to choose from a broader range of residential carpets for a home office space as they can soften and “warm up” the area. “That’s why our available options include a diverse range of Nouwens and Modulyss commercial carpet tiles that are readily available and have options of bright colours that can be incorporated with the more traditional neutral colours. 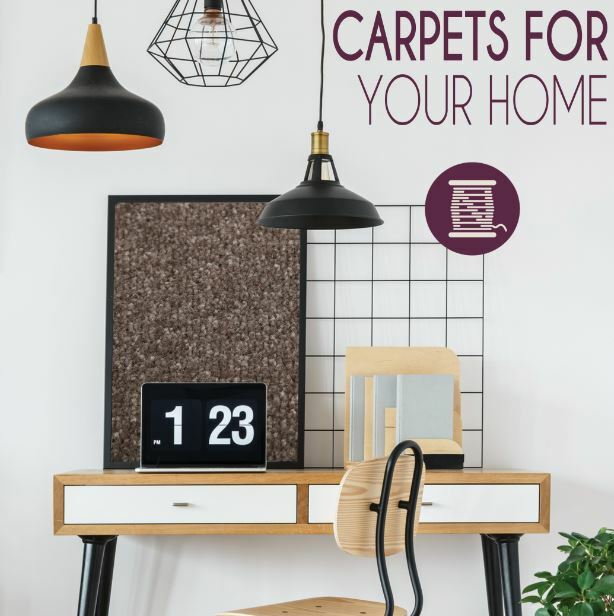 Alternatively, our existing and reputable residential carpet ranges are also available and work with any taste and design palette,” says Olivia. Another benefit of opting for carpeting for a home office is noise reduction. “One of the main reasons we have seen a big uptake in commercial and even hospitality spaces opting for carpets over hard flooring is because of noise. In areas of high foot traffic, the incessant noise of people’s heels and shoes on hard flooring can be very distracting and destroys any attempt at creating an air of harmony and quiet,” says Olivia. Other key aspects to consider when designing a home office that also translate well for a commercial space, are the type of equipment you have or need, lighting, privacy, the overall layout or organisation of the space and ergonomics. “Once you’ve carefully thought through all of these elements, you’ll undoubtedly have a winning formula for what translates well from your work space into your ideal home office,” concludes Olivia. For more information, contact Nouwens Carpets on +27 (58) 622 1101 or via www.nouwenscarpets.co.za.